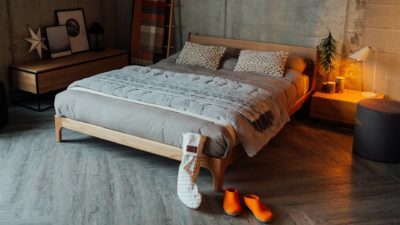 Now is the ideal time to update your bedding for winter – as the nights get colder and guests come to stay over the holidays. 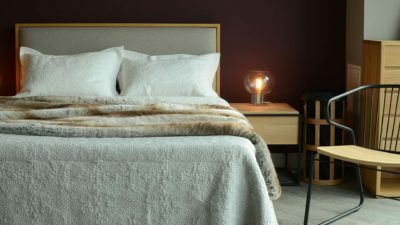 Here we’ll take a look at our collection of cosy winter bedding, from luxury faux fur throws to soft brushed cotton duvet sets. 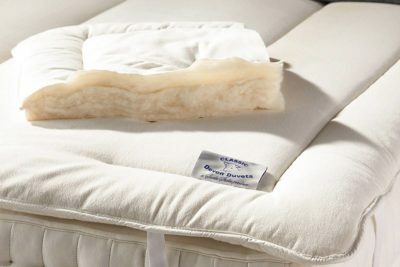 First of all check that the basics are right – if you have a mattress or topper that has a summer side and winter side – now is the time to turn it so the winter side is up. 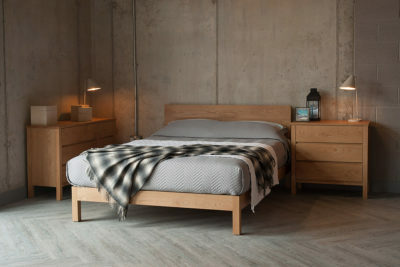 Take a look at our Organic Cotton & Wool mattress topper to see what I mean – it has a fleecy side for colder months and an organic cotton side for spring-summer. 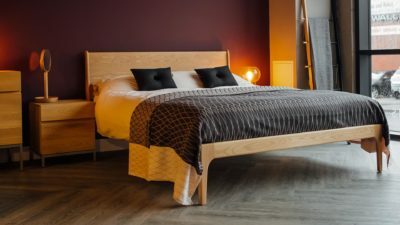 If you don’t have a mattress topper I can thoroughly recommend them – the only down side is that they are so comfy you’ll find it even harder to get out of bed in the morning! 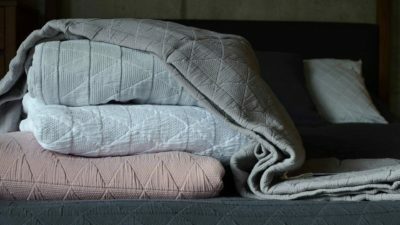 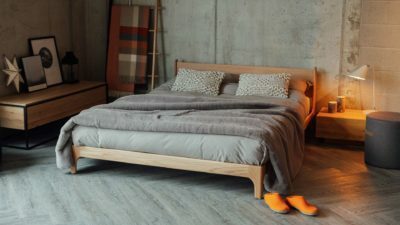 If you have an all season duvet – it’s time to connect the higher tog layer to the lighter layer and create your winter tog duvet. 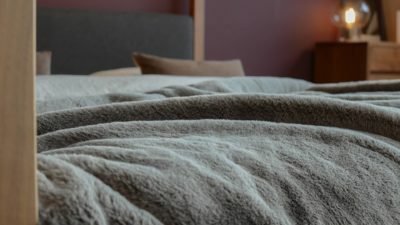 If you aren’t sure which tog rating will suit you best, we generally recommend going for a lighter duvet (6-9 tog) and then add extra layers – a bedspread and/or blanket. 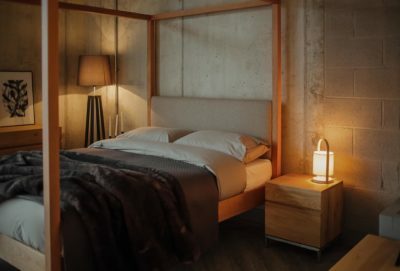 This way you can add or remove layers as you prefer. 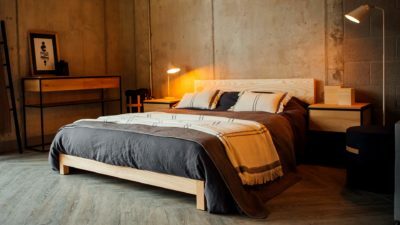 It’s also a good option for guest bedrooms as your various guests may have very different preferences. 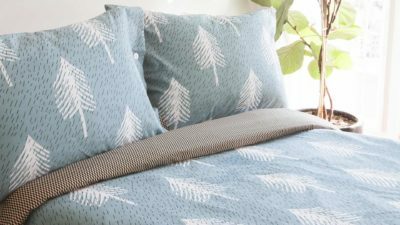 Looking for a new duvet? 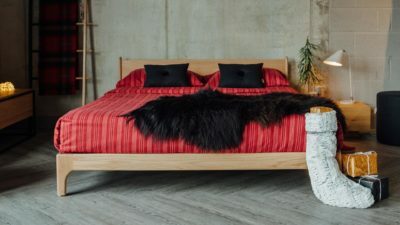 Take a look at our collection which includes feather and down duvets, wool filled duvets and organic cotton filled duvets. 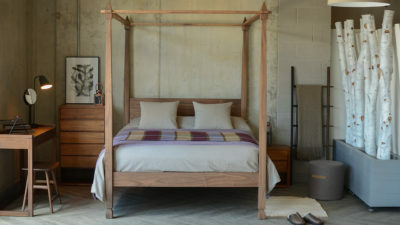 In winter I particularly love brushed cotton bedding – it’s immediately warm to the touch, so no getting into a cold bed! 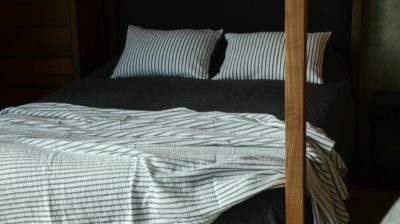 We have a range of options available including grey marl duvet covers, red striped duvet sets and deep blue and cream check duvet sets. 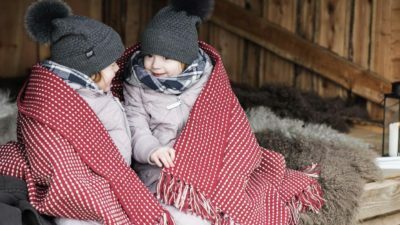 They are all bliss. 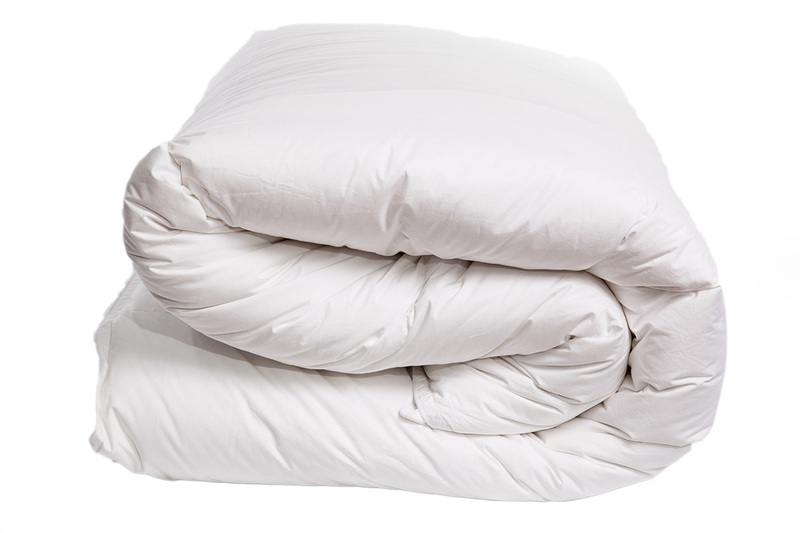 Pair with our brushed cotton fitted sheets and flat sheets in cream. 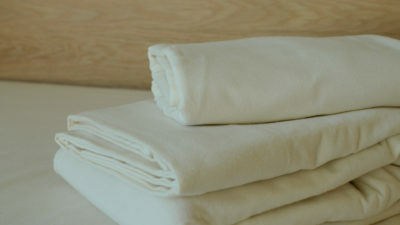 If you are looking for a more textured option then pure linen bedding is a wonderful, luxury choice. 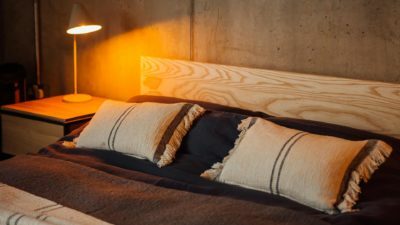 Linen bedding has natural heat-regulating qualities which make it feel pleasantly cool on a hot day and warm in cooler weather, so it’s a good option at any time of year. 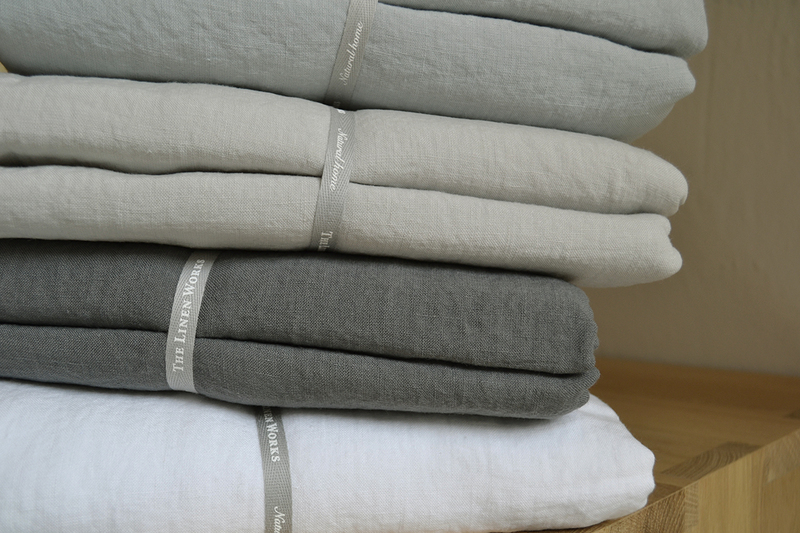 Linen fibres are also hypoallergenic and anti-bacterial so you can feel confident that you and your guests will feel comfortable. 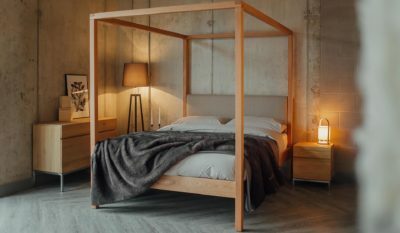 We have lots of options for linen bedding – from duvet sets in a range of colours, to collections including fitted sheets, flats sheets, duvet covers and pillowcases – take a look at our bedding collection to find out more. 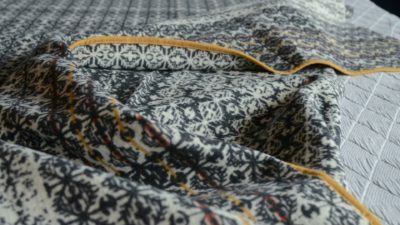 If you prefer patterned bedding to plain – you may want to take a look at our bedding decorated with designs by British artist Donna Wilson. 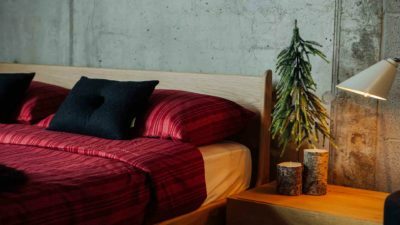 They are fun, bold and modern – and the Log Cabin design in particular is absolutely perfect for Christmas! 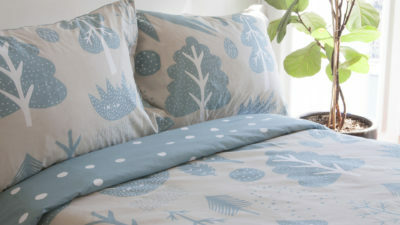 These duvet sets are also reversible – so you get two looks for the price of one. 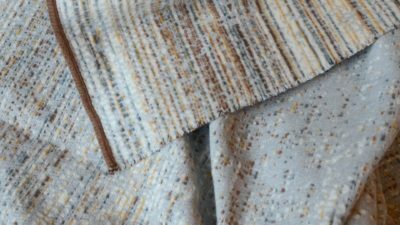 The bolder design to one side and a simpler, smaller pattern to the reverse. 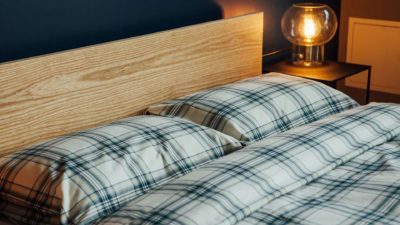 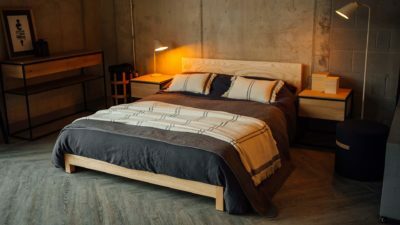 A bedspread or quilt will add weight and warmth to your bedding, but is also easy to take off if the weather turns milder (much easier than changing the duvet for a lower tog). 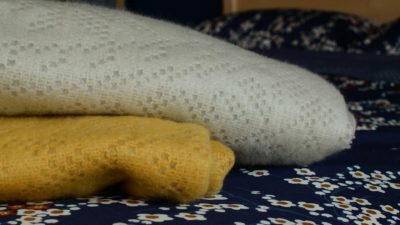 It’s also a good way to add texture or pattern to a plain bedding set. 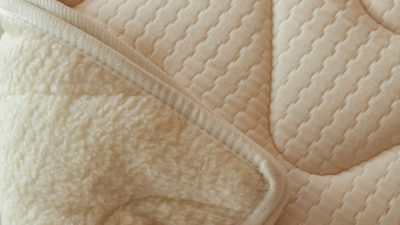 We have a wide range of options available from luxurious faux fur bedspreads to quilted velvet throws and bed covers. 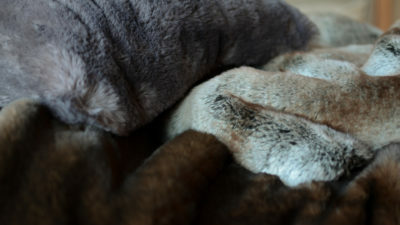 The faux fur bedspreads are incredibly soft (and quite weighty!) 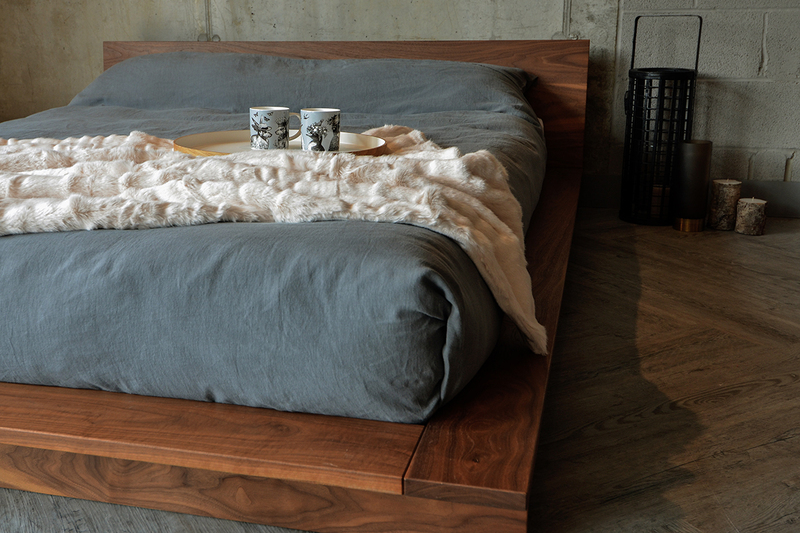 with a deep pile, and available in a range of colour ways: Cement Grey, Russian Blue, Brown Bear or Alaska Rabbit. 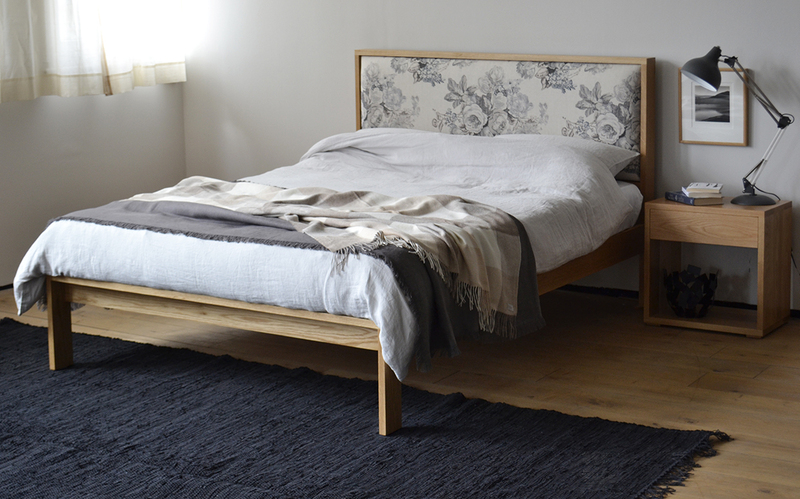 They are a generous 240x140cm in size, so they are perfect for over the end of a king-size or superking bed. 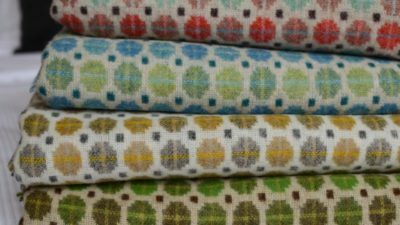 If you are looking for a bedspread to cover the entire bed we have lots of options available – just choose the colour and pattern you prefer. 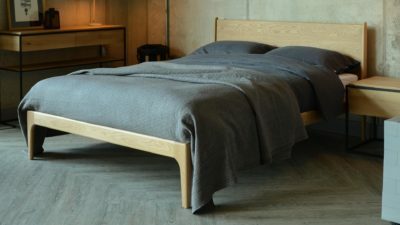 If your taste is for modern design take a look at the Stockholm bedspread (available in white, slate, silver, mid grey or dusty pink). 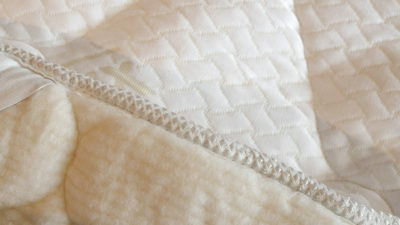 This lightweight bed cover has a diamond pattern and lots if texture. 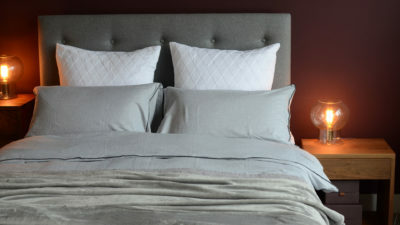 If your style is more classic – take a look at the Classic Stonewash Embroidered Bedspreads (in taupe, grey, navy, plum or duck-egg) or French Rose printed bedspreads. 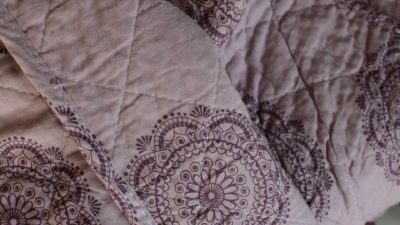 These bedspreads have a more traditional look (with elaborate embroidery or a classic floral print), but still work well with a range of styles. 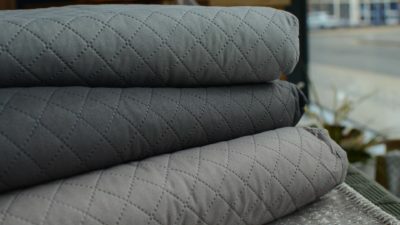 To see our full range of quilts and bedspreads take a look here. 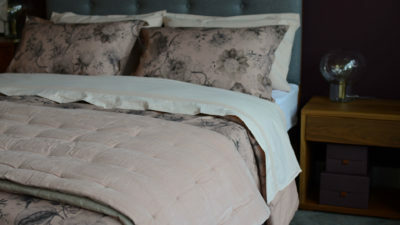 Adding a new throw and cushions is a great way to update a bed-room look and achieve a cosy atmosphere for winter. 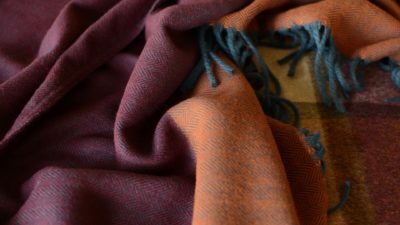 We have lots of throws in various materials and colours so you are sure to find one to suit your decor. 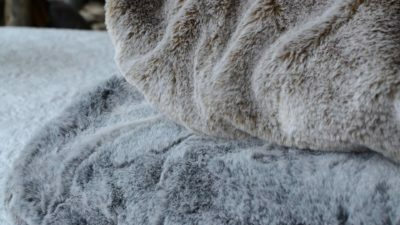 We have a wide range of faux fur throws, smaller and lighter than our luxury faux fur bedspreads, these throws can also be used as a blanket to snuggle under on the sofa or as an extra layer over the end of the bed. 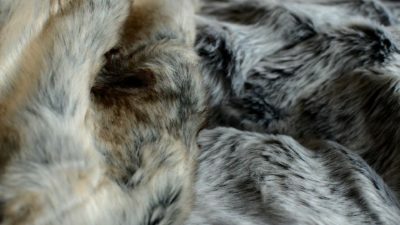 We have lots of options available from a ‘natural look’ blend of tones – just like animal fur, to solid colour faux fur throws in fashionable grey, blue, pink or cream. 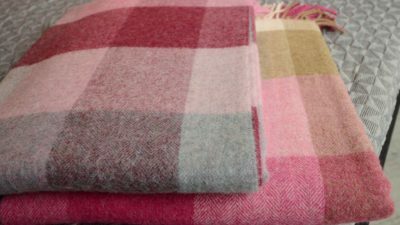 We also have a huge selection of wool throws – from luxurious Alpaca to Merino wool and Shetland wool. 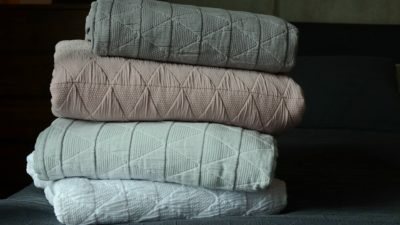 Cotton rich throws with a fleecy feel are also available on-line in a range of designs and colourways, these cosy throws are incredibly soft to the touch and great value. 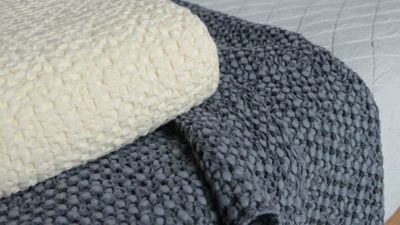 If you want to add some texture to your bedding scheme you may also want to take a look at our various waffle textured throws, or knitted blankets. 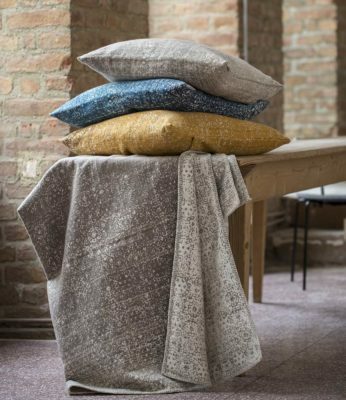 If you are looking to co-ordinate various elements of your scheme – we have lots of cushions with matching throws, bedspreads or bedding available. 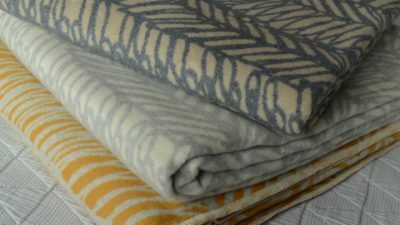 We have recently added a range of incredibly soft, cotton-rich throws, they are patterned and have a fleecy feel. 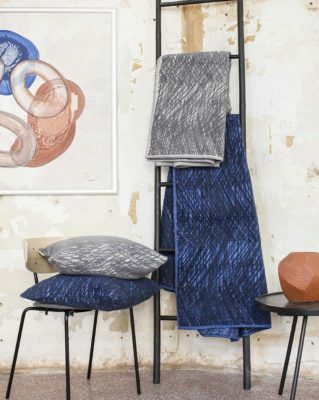 They are so comfy – they have now used this fabric for matching cushions too. 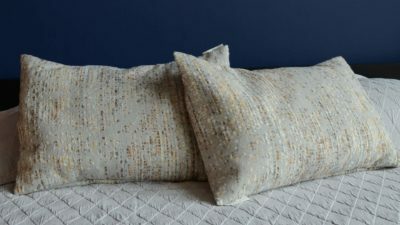 Take a look at the Boucle design cushions and throws or Patina cushions and throws to see examples. 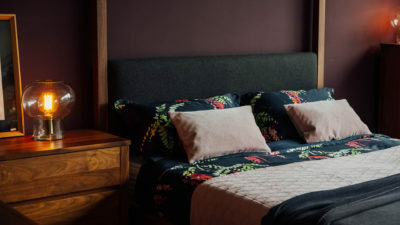 Other popular options are the Andas throw and cushion – in ivory with a black stripe details, these modern bedding accessories are cosy and stylish – a good choice for any season. 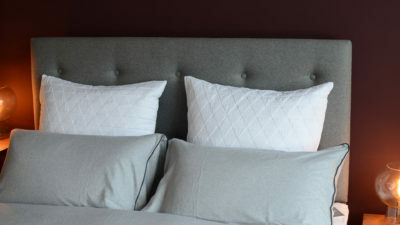 It is also possible to order Stockholm cushions to match the Stockholm bedspreads we discussed earlier – these cushions are available in a range of size and colours (if we don’t have the size and colour you are looking for to match your Stockholm bedspread please contact us, we may be able to order it in for you). 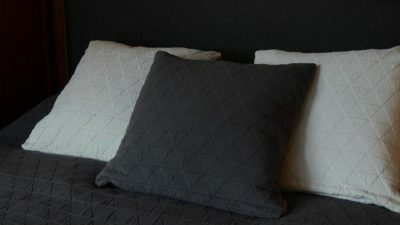 We also have large ruffle edge cushions in slate grey linen which matches the slate grey bedding we supply. 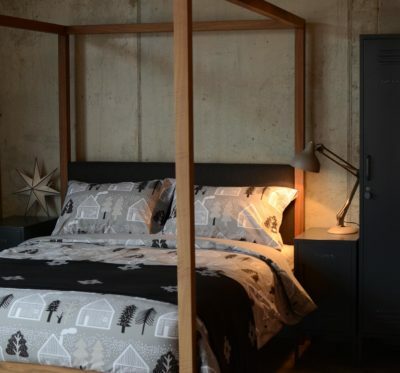 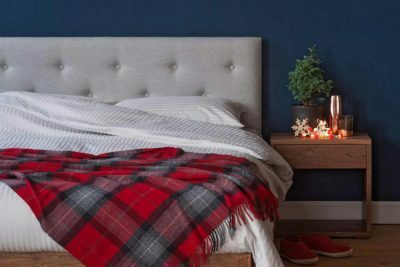 For more ideas to winter bedroom looks – take a look at our Pinterest boards: Christmas Bedroom Decor and Winter Bedrooms.